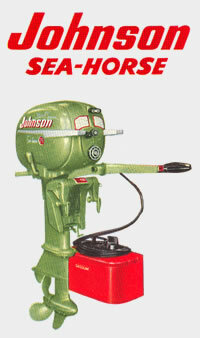 They're smooth - these ultra-modern Sea-Horse motors - smooth in their entire performance range. They're swift and sure as they reel off the miles, yet they'll hold a lazy trolling pace all day long if you wish. They start. No gas engine of any type starts so easily... They're a joy to handle, with Gear Shift (or Neutral Clutch). 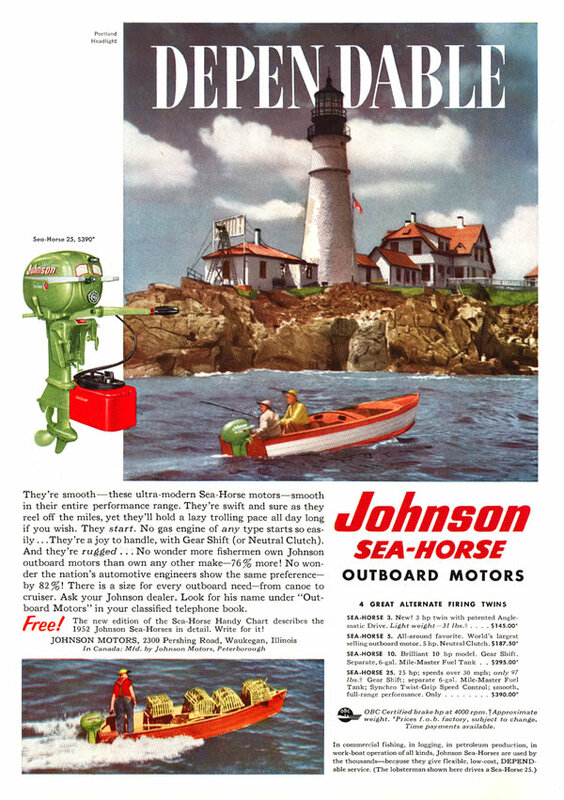 And they're rugged... No wonder more fisherman own Johnson outboard motors than own any other make - 76% more! No wonder the nation's automotive engineers show the same preference - by 82%! There is a size for every outboard need - from canoe to cruiser. Ask your Johnson dealer. OBC Certified brake hp at 4000 rpm. **Prices f.o.b. factory, subject to change.